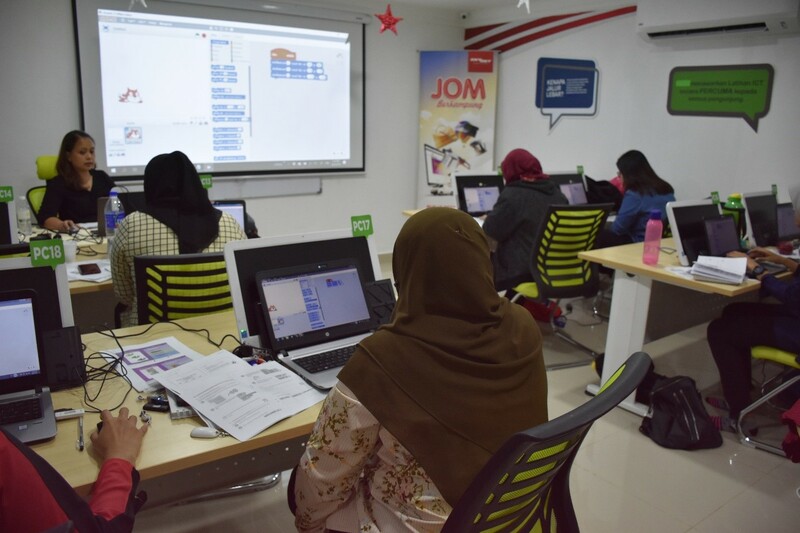 ISITI research fellow, Dr Sarah Flora Samson Juan, recently conducted Scratch 2.0 training workshops at three different Pusat Internet sites under the TIED project in Johor, Negeri Sembilan and Perak. The objective of these workshops was to provide Managers and Assistant Managers of the Pusat Internet with training on computational thinking through Scratch Programming, which can later be offered to members of the community. Scratch Programming is especially beneficial for children, as it enables them to think creatively, work collaboratively and reason systematically.